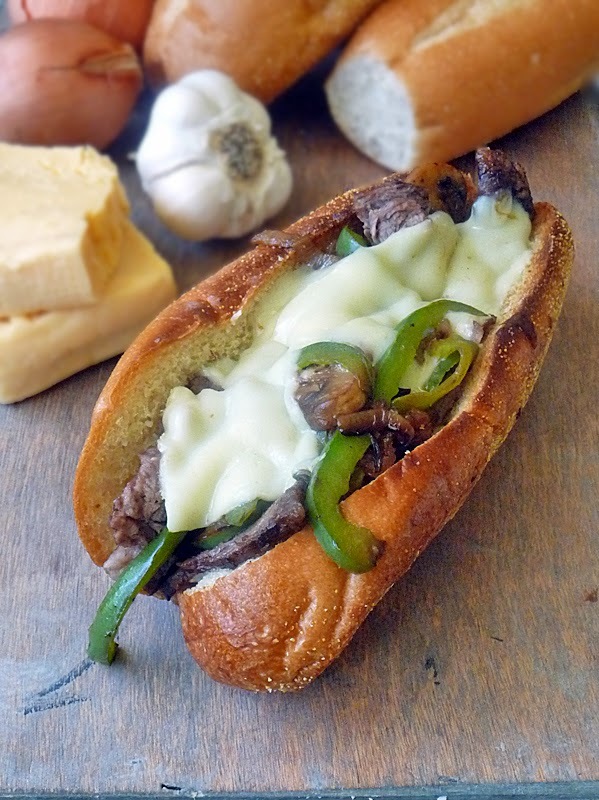 Slow Cooker Cheese Steaks are delicious sandwiches piled high with slow cooked beef, caramelized onions, sauteed mushrooms, green peppers, and lots of melty cheese! 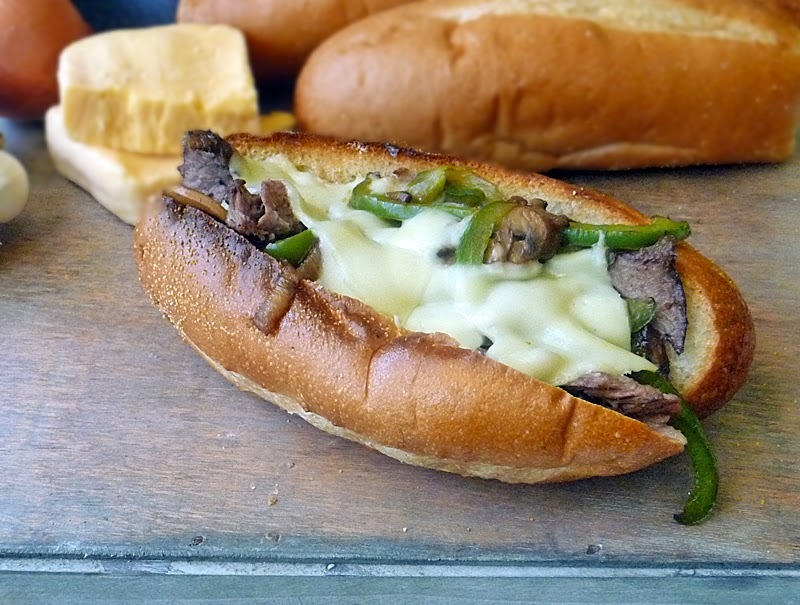 Although, this recipe is not your traditional cheese steak you would get from Philly, it is a yummy alternative you can make at home. I also make a Philly CheeseSteak Casserole that is quite tasty too! 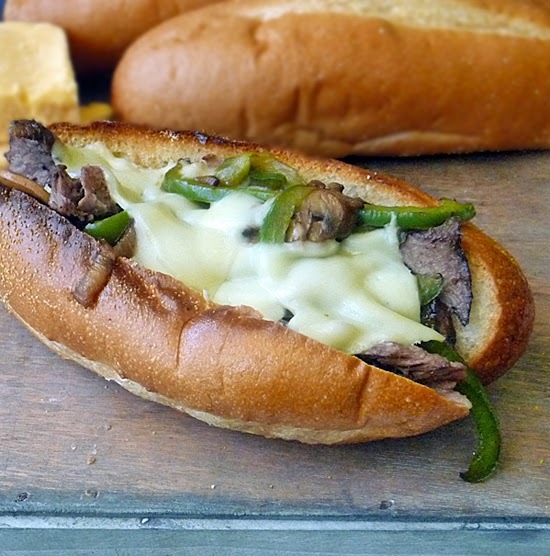 It's not often I get to the City of Brotherly Love where my mom was born and raised, so when I have a hankering for one of their famous sandwiches I make these Slow Cooker Cheese Steaks at home! This sandwich is easy-to-make and satisfying! The combination of flavors works very well, and it is very versatile! It's easy to change things up a little in this recipe to suit your own tastes. I like to use american cheese because it is so creamy, but if you prefer a different cheese don't be afraid to sub in your fave! You want red peppers instead of green-go for it!! I won't tell! I use green mostly because they are cheaper than the red. I'm all about flavor, but I'm also all about saving $$!! Generously salt and pepper the beef. Heat a grill pan to 375 degrees F. (mid-high heat) and sear the beef on all sides. About 3-4 minutes on each side to get a good sear. Mix 1 cup hot water with 1 tablespoon beef base and add to slow cooker with 1 tablespoon red wine vinegar, 1 tablespoon Worcestershire, 2-3 cloves garlic, and seared beef. Turn slow cooker on low and cook 3-4 hours or until beef is tender. Keep in mind this cook time will vary depending on the thickness of the meat you are using. If you are cooking a tri-tip it might only be 2-3 hours, but if you are cooking a beef chuck roast it will be a good 4 hours or more if very thick. About an hour before the meat is done, heat 2 tablespoons butter in a large skillet over medium heat. Add onions and a pinch of salt. Reduce the heat to mid-low and cook for 30 minutes, stirring occasionally, to caramelize the onions. Add another 2 tablespoons butter to the skillet and melt. It's okay if the onions aren't quite done yet as we are going to cook the rest of the vegetables and the onions will finish up. Add the mushrooms and saute until they begin to sweat and soften - about 5-7 minutes. Add peppers and cook until tender - about 5 -7 minutes more depending on how you like your peppers. When meat is done, turn off slow cooker and preheat the oven to 350 degrees F.
Soften 3 tablespoons butter and mix with 1 teaspoon freshly minced garlic and a pinch of salt. Spread this mixture evenly onto sub rolls. Slice beef thinly and divide beef and vegetables evenly among the rolls. Top each sandwich with 2 slices of cheese and wrap loosely in foil. Bake sandwiches in preheated oven for about 10 minutes until cheese is nice and melted. Serve hot sandwiches with reserved broth, if desired. Cook time: 3 hrs. 00 mins. Total time: 3 hrs. 15 mins. 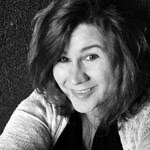 Thanks so much for taking the time to post! I like it too - the kid done good creating the new look ;)! 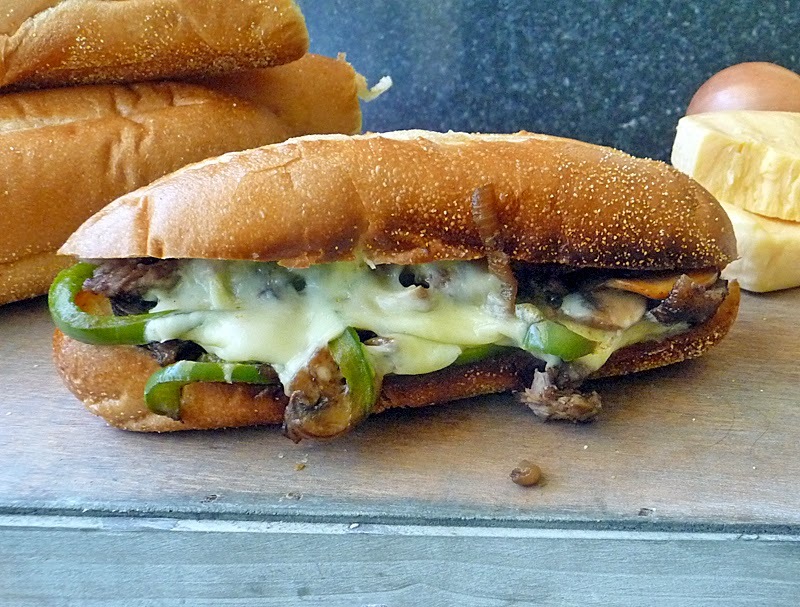 I'm so glad to see a Philly Cheesesteak sandwich listing Beef Chuck Roast as the meat to use. I must say that this is how I learned to make it, from an older man who lived in Philly back 6 decades ago making these delights for the public. And for those who don't know, Cheese Whiz is not original to the sandwich. I personally enjoy rolling up my sleeves and eating a "6-8 napkin" Philly cheese. Thanks for posting this. I am glad I have a healthier option using the crock.